Is It Time To Recommit To Decluttering Your Home? Part of living a simple, deliberate life is removing the clutter from your mind and spirit, but so is removing the physical clutter from your home. Decluttering the home is often the first step toward a minimalist lifestyle — and it’s a very necessary one. As we make progress, however, we often place less emphasis on getting rid of the junk that clutters our lives. Since decluttering is a very obvious and outward sign of a life coming under control, nothing could be more important. When we don’t think much about it, though, the clutter seems to creep back in. Is it time for you recommit to decluttering? 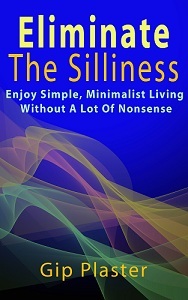 When I proposed my big five priorities for simple, minimalist living, I placed getting rid of stuff at number three. That was probably a mistake. When I rewrite that post based your input and my discoveries (as I said I will eventually do), putting the priorities in order of importance might be a good idea. That means getting rid of things comes first. So Much More Life essentially started as a blog about my decluttering journey. I posted about a number of other things along the way, but the weekly updates about my Decluttering and Simplying 2010 project formed the basis of this blog for a year. If you’re new to So Much More Life, I suggest you look at some of those early posts focusing on decluttering. You don’t necessarily need to read them all to understand how my interest and passion for decluttering grew more intense, waned a bit, then grew intense again before my yearlong project went out with a whimper. My journey started with this simple, dull little post that includes a photo of some of things I eliminated from my kitchen in mid-December 2009. Since I promised my readers (and there weren’t any) that I would provide weekly updates, that’s exactly what I did for 51 more weeks. This post shows how much can be accomplished if you commit to doing something every week. It explain the progress I made in just about every room of my house. This is some practical advice for decluttering, including the idea of starting with the easy stuff first and completely clearing as many flat surfaces as possible. This is a simple look back at what I accomplished in my home in 2010. In it, I express my hope that 2011 would be your best year ever. Was it? Then in May 2011, I wrote a post called Don’t Forget About Decluttering in which I suggested that keeping decluttering in mind keeps us from undoing our efforts, allows us to make additional progress, lets us celebrate our progress and is an important part of showing others the path toward a simpler life. Now, with 2012 well underway, I repeat the question with which I began this post: Is it time for you to recommit to decluttering your home? Today is as good a time as any to throw away some papers, take some junk to a charity shop or get rid of the expired food items in your kitchen cabinets. I’ve never heard anyone say that they regretted decluttering. Have you? I’ve often heard people say they wish they had simplified their lives sooner. Haven’t you? I think the only thing I’ve “regretted” about getting rid of more is that we have no decor. Generally, I’m ok with it because it means WAY less cleaning. However, it would still be nice to have some style instead of everyone asking if we are moving out. I can relate Megyn. The Kid’s ‘accidentally’ pulled down the playroom curtains this weekend and we are considering not putting them back up but going minimal with a plain vertical blind. The only problem is as I sit in there at the mo, it feels as though we are halfway through decorating…it’s lacking something…probably curtains! I think just one or two well-placed items on a table, on a wall or in a corner can make a home look nice, clean and still uncluttered. If you have lots of empty tables and shelves, I suggest eliminating them completely. That said, I’m not very interested in decorating. As long as the chairs are comfortable, I’m happy. Thanks for commenting, Megyn and Jo. Haha, for many weeks in a row last year I was offering items through the local freecycle network; and people kept asking me if I was moving out. No, I replied, I was cleaning. I still have a lot to eliminate. It’s pathetic how much stuff I own — and I live by myself. My living room is most cluttered with furniture and I will shortly list stuff for sale on craigslist, so I can downsize and then get what I really want: a pull-out sofa, to replace the two loveseats currently there. That will turn one room into two rooms through a simple piece of furniture. I think one of the keys to a simple life is making decisions with care. Eliminating furniture can be a really good way to simplify, especially if you can replace it with items that are more functional. So many of us decorated our homes with hand-me-downs and Walmart plywood pieces, but thinking about what we place in our homes is a smarter idea. After my recent trip to Quartzsite, I can see that I definitely need another round (or three) of decluttering. Thanks for the reminder, Gip. You’re welcome, Mike. Things certainly need some attention around here! Crystal recently posted Crystal Clear Edits Logo – I’m Branded Now!